What World do you think will be announced at D23? 1. What World do you think will be announced at D23? I really really want Atlantis. An interesting conundrum. They appear not to want to be spoiling too much (hence basically only showing gameplay from the first world) so you'd think they'd want to show a world we've visited in previous games. That said, Frozen is totally a given for this game, so I feel like it's also a "safe" choice. Of course, "new" could just be Big Hero 6 since we haven't seen any gameplay. I picked Frozen, but really if they can make it fit in the KH Universe, any of them could be.Although since Sora needs to regain his strength, I believe any of them that focuses on the power of the heart will be in the game...whether it's now or later. I'd say Moana or Frozen, I'm hoping for Moana but I'm good with a Frozen world. A world that people don't expect to be in kingdom hearts. Remember Pirates of the Caribbean and Tron everyone? Both of those worlds aren't expected to be in kingdom hearts 2 because of their artstyle, and yet they both still manage to get into kh2. I want it to be a Moana world but I have a feeling it will be something less recent than that. I'm gonna go with the safe bet and say Treasure Planet. We've had two Roy Conlis featured so far, let's get a third one in too. 1. Frozen - The sheer popularity of the movie alone makes it a worthy candidate. Plus there was that Frozen thing in FFXV recently. 2. Treasure Planet - Like Tangled and Big Hero 6, this film was produced by Roy Conli. No surprise if it makes it into the game too. 3. Toy Story - Unused models of Woody and Buzz summons can be found in KH2FM. Wouldn't be surprised if they reused the idea as a full blown world. Plus it is another popular movie. 4. Wreck-It Ralph - Popular, video game centric, touches upon the issue of bad guys being good. Vanitas maybe? 5. Brave - The Merida-looking Heartless appearing in the trailers kinda hints at this. Moana - I would LOVE for this movie to appear since all I could think about was KH whilst watching it. However it might be a little too recent to be included. Jungle Book - Since Disney lost the rights to Tarzan all those years ago, and that this world was originally planned for BBS, I could see it being announced or appearing in general. One of my all time favorite movies of all time with an amazing story that could work with kingdom hearts. Demons and spirits with heartless and nobodies, ohhh that would be amazing. 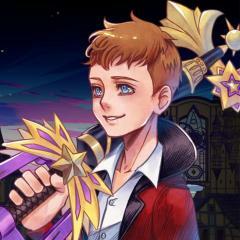 With a beautiful world and a great cast of characters, I feel like with one would be amazing for a world in good ol KH. Being able to meet the crew and explore Atlantis, yeah that sounds soooo good. If I could see lion sora just one more time, I would love this idea for a world all the more. It will never be announced, but I suppose seeing radiant garden in the new engine would be nice. I really hope sora decides to actually meet up with everyone in Shibuya. And yeah, that's my list. I'm really hoping for Treasure Planet, but odds are it's probably going to be Frozen if they want to start off the "Oh s***, things are getting real now, SUCH HYPU!!" pattern. Because as soon as Frozen is featured, everybody in the whole world is going to remember that this series exists, since people are STILL obsessed with Frozen. 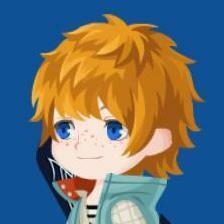 Moana's all but been confirmed, because of the medals in KHUX -- I doubt they'd do that and then not have that world. But I think we'd all still appreciate seeing footage of this world! Personally, I want the announcement to be for the world in Brave - I'd hate for them to let Merida's movie slip by! "edgy teen whos into memes"
ive got my fingers crossed for Moana, as it seemed like it would work perfectly in the KH universe. I'm expecting Atlantis, because the new keyblade transformation silhouette in the trailer looks like a drill. I would love Toy Story or Frozen though. I so want it to be Atlantis. im really glad Treasure planet has the most votes right now. I would love my favorite disney movie as a world.